While in Cuba, the Venceremos Brigade is hosted by the Cuban Institute for Friendship with the People (ICAP). Every year, our friends at ICAP develop a program for our two-week visit to Cuba. Our Cuban hosts work very hard to ensure that Brigadistas can seize the opportunity of their visit to Cuba- seeing and learning as much as possible, and hearing from as many voices as possible- so that we return to the US with a wealth of knowledge and a dynamic perspective, enabling us to educate people about Cuba, replacing myths with realities. Meetings with leaders of Cuba’s federations, committees and assemblies, such as the Federation of Cuban Women, the Union of Communist Youth, Municipal, Regional and National assemblies, and others. Visits to Cuban social and economic institutions, such as health clinics, senior centers, orphanages, and others. Cultural activities and visits, such as museum visits, musical and dance performances, special events with other solidarity groups, and others. Free time. There is very little incidental free time during a typical day. The program is a rigorous schedule of activities and visits that is often exhausting and logistically challenging. Incidental free time is usually used for taking showers, doing laundry (by hand,) and taking naps. Although Brigadistas often do find time to socialize at night (responsibly and without compromising the next day,) free time is otherwise built into the program. Depending upon where the Brigade is located, free time can include options to visit the beach, the city, the countryside, or maybe to just catch up on some sleep. 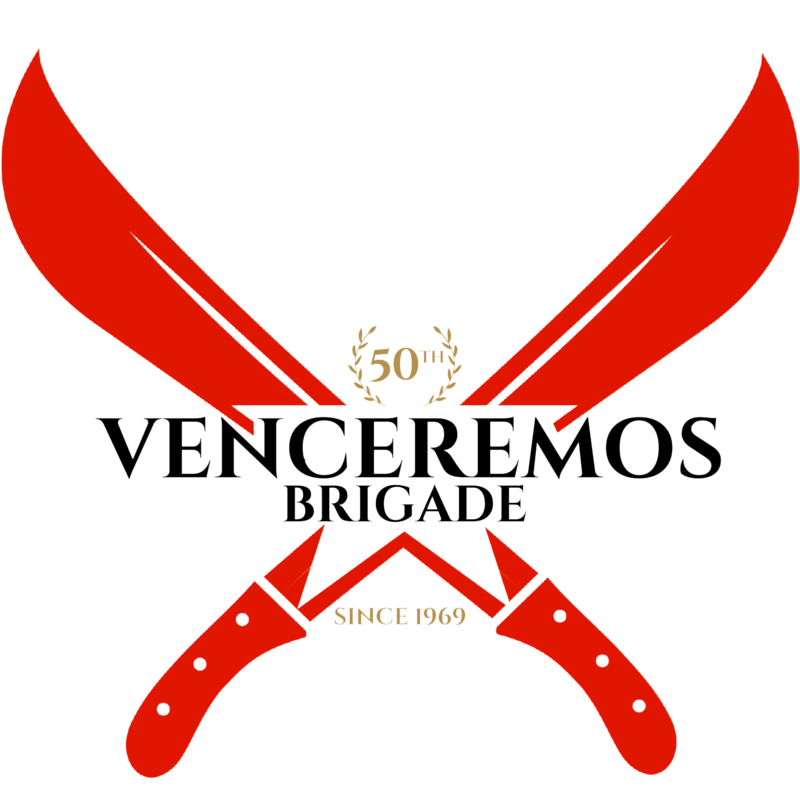 The character of the Venceremos Brigade is inseparable from the work component of the program. Over the years, Brigadistas have harvested sugar cane, painted buildings, repaired structures, hauled construction materials, and much more. No matter what work projects are planned for a given year, there is always a valuable contribution for every Brigadista to make, regardless of skill, experience or ability. The organizers of the Brigade will inform Brigadistas of the type of work that will be performed as soon as it is known, and will provide suggestions as to how to prepare and what tools (if any) to bring. While in Cuba as part of the Venceremos Brigade you will experience living conditions familiar to the majority of people in the world, but unfamiliar to most in the United States. The Brigade often stays in camps that were built to host solidarity and other groups. Bunk beds in rooms for 6-10 people ensure rapid bonding among Brigadistas. While in Cuba we will experience the impacts of the US economic blockade- economic warfare- against Cuba. Supply shortages make for simple facilities that are often compromised by the rigor of large groups; and water shortages & simple systems necessitate conservation and care. The organizers of the Brigade will provide suggestions as to how to prepare and what supplies to bring to make the camp experience comfortable. The travel challenge occurs when we cross the border on our return to the United States. By traveling to Cuba openly, we affirm our Constitutional rights to free speech and free assembly, cultural exchange, and to see Cuba with our own eyes. One week left to apply for VB50! Bring your kids! Visit www.vb4cuba.com to apply. Brooklyn! Come out this Wednesday!